TheATVSuperStore.com is proud to offer the Denali ATV Plow System. We have tested this system now for six + years. Get the job done with this plow system and save! We have the best deal in town! Our Denali ATV Plow system is made to handle the toughest conditions including sand, snow, and ice. The "Easy-Connect" design created by our engineers will make attaching and detaching your plow an extremely easy process. The DENALI ATV / UTV Snow Plow - Standard Series by MotoAlliance is made to handle the toughest conditions including sand, snow, and ice. The "Easy-Connect" design created by the MotoAlliance engineers will make attaching and detaching your plow an extremely easy process. This Center Mounted plow disperses the force of impact to the sturdiest part of the ATV or UTV, preventing damage to the front end or other vehicle parts from sudden impact. Please Note: Our complete set-up is designed for lifting with a winch. We recommend any of our Elite or Max series 2,500lb or larger winches. Please call 866.527.7637, ext. 1 (toll free) for more information. Fully compatible with DENALI ATV Snow Plow Systems. The DENALI Snow Plow Roller is ready for snow! 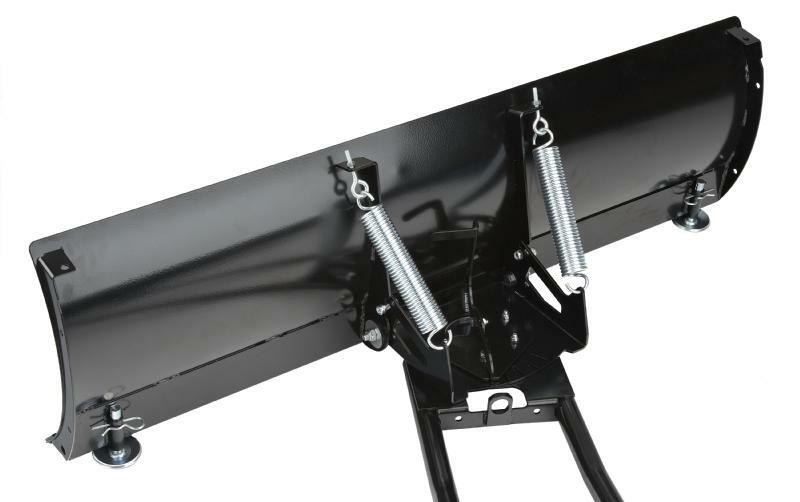 Designed specifically to resist wear from the steep angle that occurs between the fairlead and the plow, thus extending the life of your plow lift system. our DENALI UTV Snow Plow Systems - Pro Series and Standard Series and our DENALI ATV Snow Plow Systems. See below for blade identification. Specific to the blade size of 50", 60"
Rubber Flap - 50", 60"
Metal Hold Down Bar - 50", 60"
Our Commercial Grade Snow Plow Markers are necessary for seeing the edge of your blades. Remember at TheATVSuperStore.com we test what we sell & only sell the best! Any questions call us at 815-321-3888.